SEOUL, June 18 (Yonhap) — More than 7 out of 10 South Koreans no longer listen to music on CDs as consumers increasingly turn to smartphones and computers, a poll showed Sunday. The Korea Creative Content Agency (KCCA) released the results of its 2016 survey of 1,200 Koreans aged between 10 and 59 on their music listening habits, which allowed multiple responses. According to the survey, included in the “2016 Music Industry White Paper,” 91 percent of the people listen to music on their smartphones, followed by television (78.8 percent), computers (44.3 percent) and radio (29.8 percent). And only 25.6 percent said they listen to songs on CDs or other discs, such as DVDs and Blu-ray discs. A vast majority of smartphone listeners chose to stay online only. 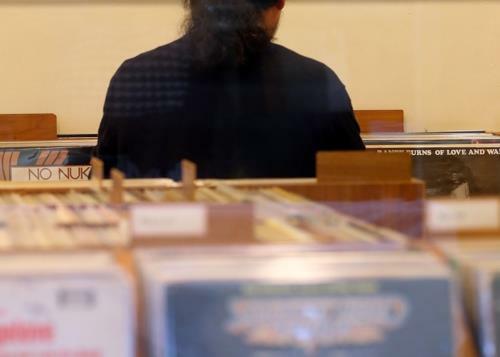 In the survey, 89.4 percent said they’ve not purchased actual albums and steam songs online. With smartphones taking over physical discs as the preferred source of music, one artist has recently pushed the boundaries of an album. G-Dragon, a member of the popular quintet BIGBANG, released a solo album, “Kwon Ji Yong,” on a USB flash drive. The Korea Music Content Industry Association has refused to recognize it as an album because the USB stick doesn’t contain actual songs. When activated, it directs a user to a special site where songs, music videos and photos can be downloaded. Under the country’s copyright law, an album refers to a physical object that contains music. G-Dragon countered that the external packaging isn’t important as long as his songs can be played by anyone, anywhere, and that the industry body relies on an obsolete standard while judging a new format.